TSP078 – New Year, New Self: I resolve. In the face of the inevitability of accelerating change, how in the world can we positively integrate these shifts, while maintaining a true sense of self? 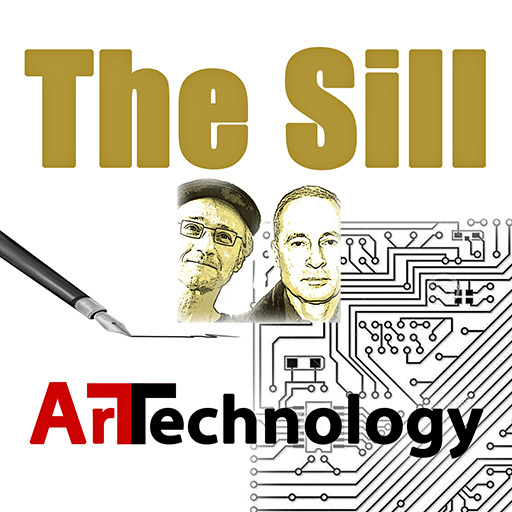 TSP077 – The Sill Podcast 2018 In Review: Cogent clips. Our first full year of podcasting spanned a diverse landscape of ideas, interlacing the large and serious with the profane and fun, as reflected in the excerpts included in this podcast. TSP076 – So You Think You Can Podcast: You can. TSP075 – Resistance Is Futile: Zoomers tackle tech. TSP074 – Transcendent Tunes: Dylan’s Revolutionary Epiphany. Like A Rolling Stone, Dylan’s six plus minutes masterpiece, defied the expectations of folk music enthusiasts and the music industry itself, inspiring a new generation of balladeers. TSP069 – The Undefinable Spirit: Celebrating the spoken word with Valentino Assenza. As host of the popular radio program Howl, Valentino Assenza has interviewed the likes of Nino Ricci and Margaret Atwood among other literary lights. A veteran of the Toronto spoken word scene, Valentino shares his love of language and other word-based art forms. Note: Our phone interview with Valentino was intermittently compromised by the quality of our connection.